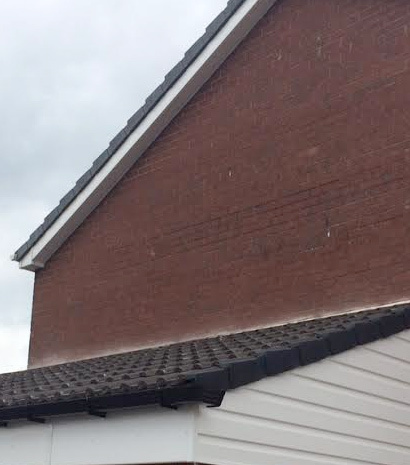 UPVC Fascia and soffits are most commonly installed to your property nowadays as there is hardly any maintenance needed to keep this in good shape. 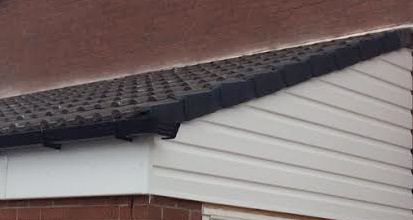 A simple clean to your fascia and soffit is more than enough and removing debris from gutters to allow rain water to exit will keep issues away. 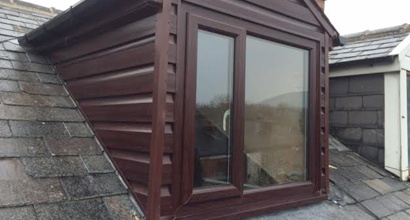 Timber was more commonly used but then you have problems of timber rotting away and keeping on top of the painting which over years can become costly. 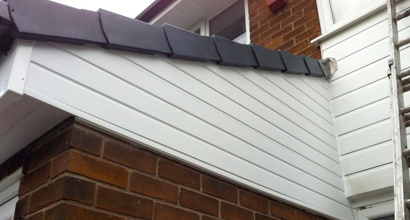 EB roofing can supply and install new UPVC fascia, soffit and rain water goods in all different colours to give your property a well-deserved modern, crisp look. Wet verge and wet ridge systems are a thing off the past. Modern plastic/steel systems are coming more popular with clients as not only do they do their job very well are pleasing to the eye. Another advantage to these products is that they are all maintenance free. Once installed correctly you shouldn’t have any issues with these again. We was introduced to EB Roofing through a work colleague after they did the roof on their house. So we decided to get them to do our roof,which was to re-slate and felt the They were very courteous,very polite and very friendly,they did so much of a good job we called them back to do our bedroom,they lowered the ceiling, and re plastered all the walls,they also cleaned up very well after themselves. We also had them fit a new double glazed window in our bathroom which again was a fantastic job. They are very reliable and trustworthy,we would highly recommend them to friends and family or anybody else who’s planning any work that needs doing, We would gladly speak to anyone who wants any more information.